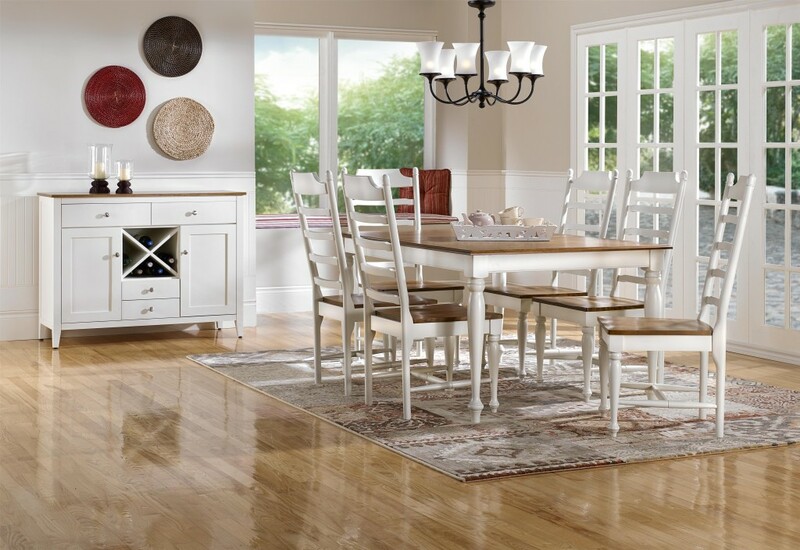 A rustic style table and chairs can be a great addition to any home from Country to Modern. 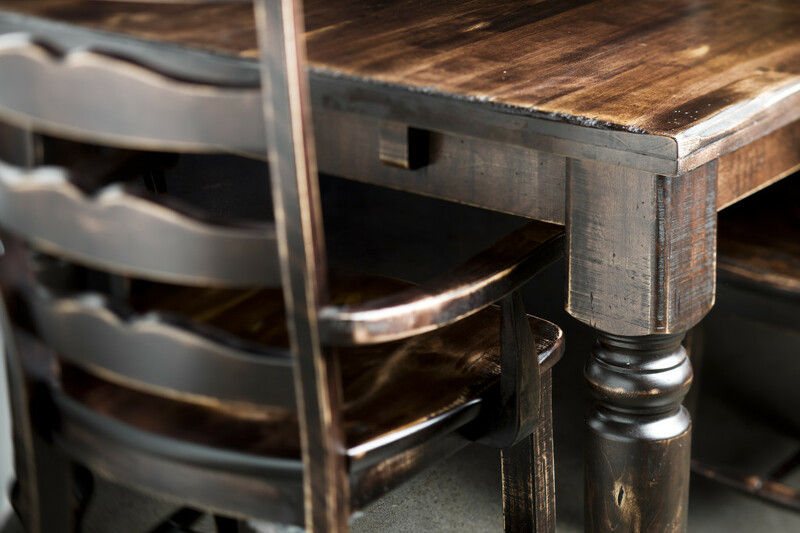 No one does Rustic farm tables & chairs better than Canadel. 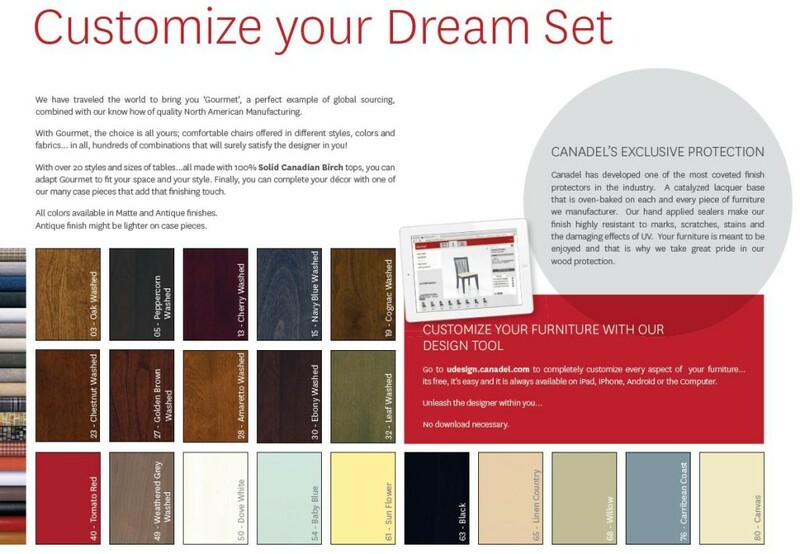 Canadel’s Champlain collection enhances the natural beauty of Canadian Birch with handcrafted techniques from colonial times to create a visually stunning piece of furniture. Your guests may think you have a Revolutionary relic! All this detail and style is handcrafted and with Canadels “Worry Free” finish spills and food will just wipe off with a damp cloth. 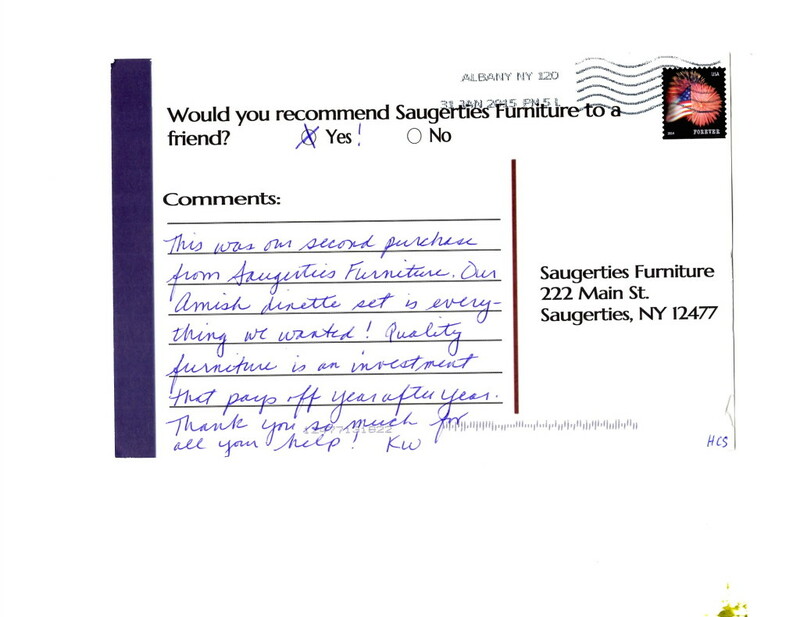 If your shopping for rustic style tables and chairs come to Saugerties Furniture, Main St in Saugerties to see the Canadel Champlain Collection on our floor! Canadel is my favorite dining line ever! This line has been allowing people to customized their dining set since 1982. 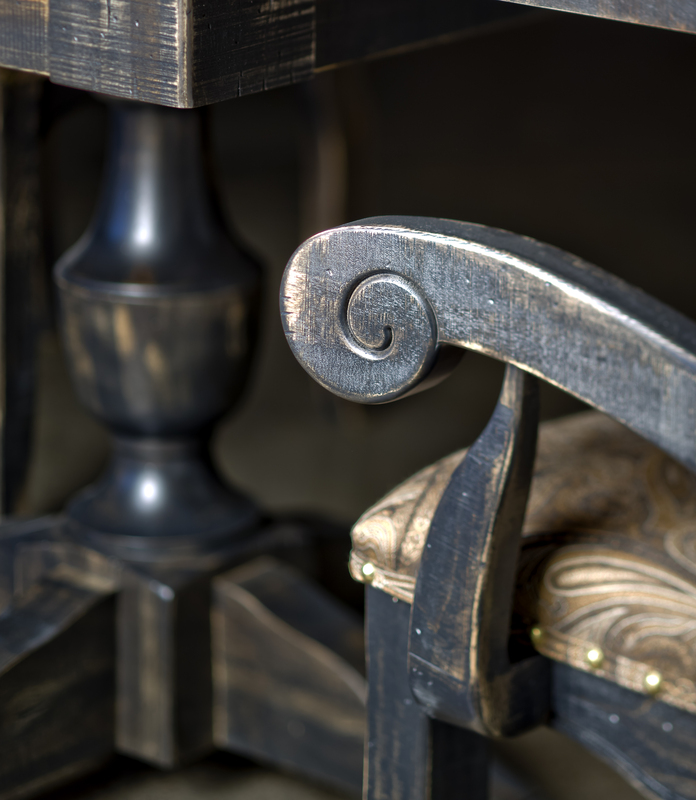 A family owned company from Canada you can feel and touch the pride that goes into each piece. Choose your table shape, size and number of leaves then choose your leg/pedestal, edge and color(s) to make it just the way you want it. 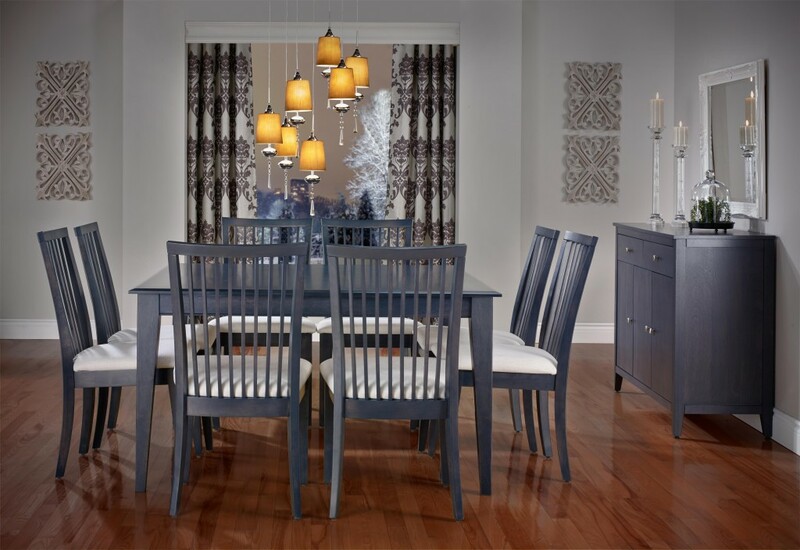 Finish your set off by choosing the most comfortable and appropriate chair style for your decor. 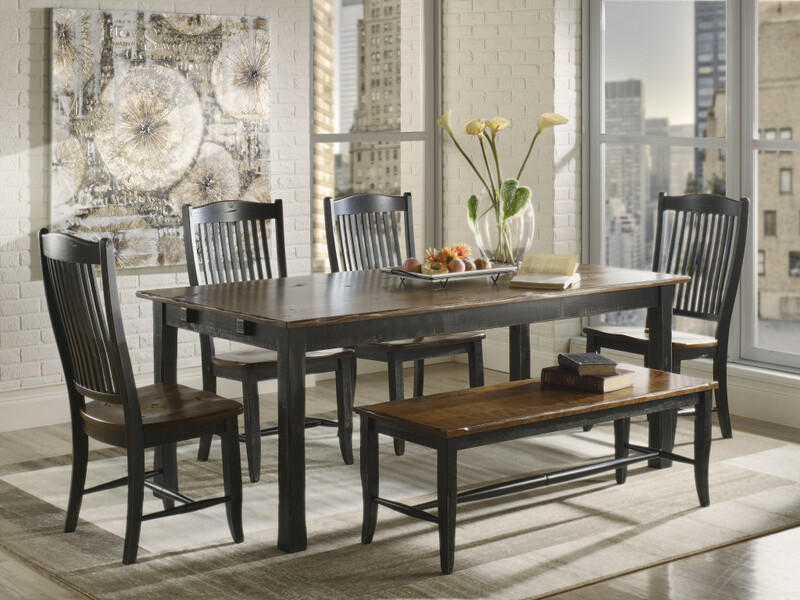 We carry all the Canadel collections and over 20 dining sets plus plenty of extra chairs and accent pieces so you can see and touch all your choices on our floor. 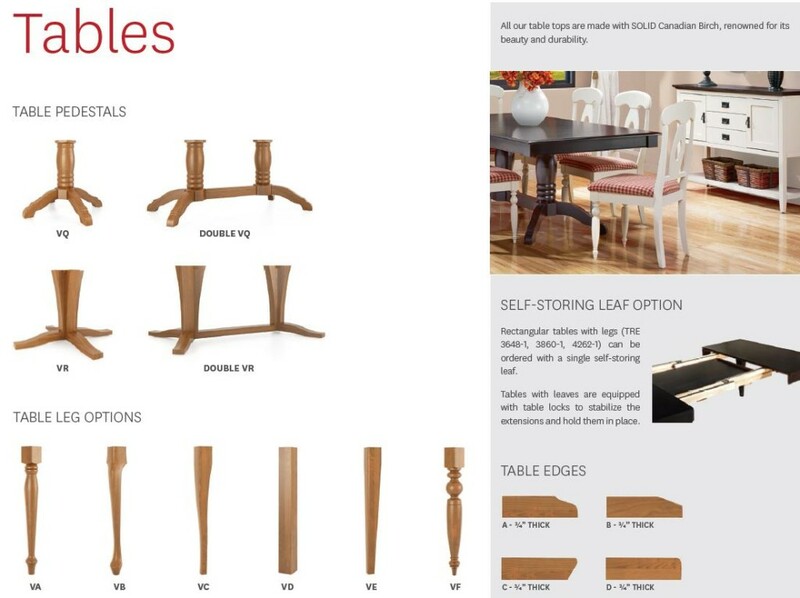 PLUS every Canadel custom dining table comes with a self-storing FULL leave, not a folding leaf that leaves you with more seams. Check out this video to see how their self storing leaf works. 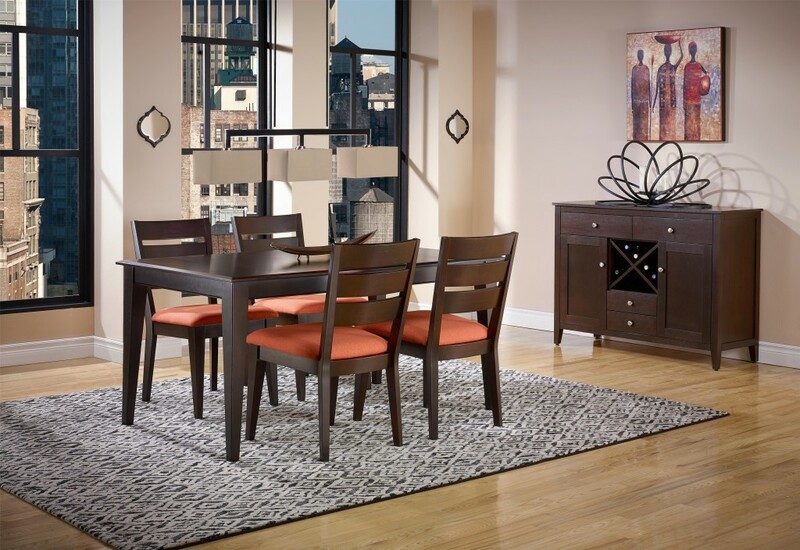 Notice the heavy duty gearlock system which makes opening the table super easy. Did I mention you never have to polish your Canadel…its Catalytic varnish is impervious to stains and very easy to maintain. 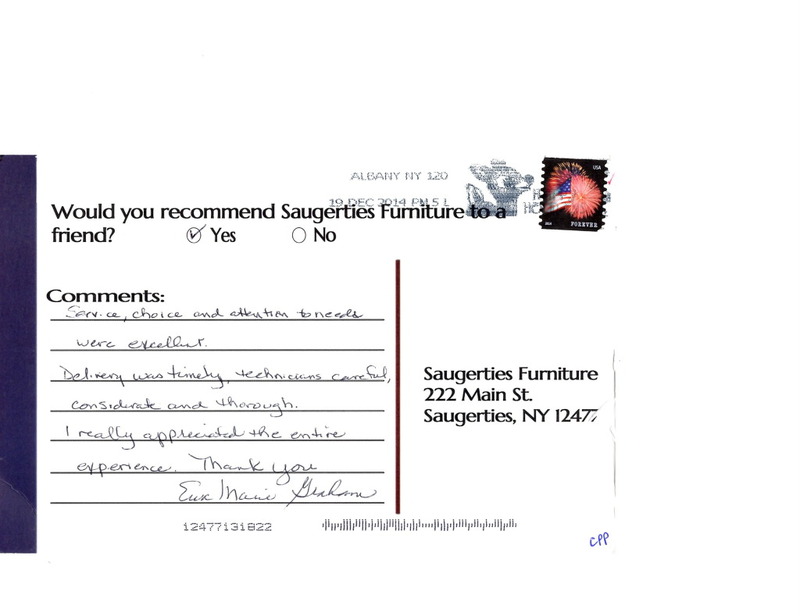 Stop by Saugerties Furniture and let us show the beauty and quality of solid wood dining furniture from Canadel!